You are currently browsing the tag archive for the ‘Business Change’ tag. Bruce Nolan, an engineer in Buffalo, N.Y., is discontented with almost everything in the company despite his popularity and the love of his draftswoman Grace. At the end of the worst day of his life, Bruce angrily ridicules and rages against PLM and PLM responds. PLM appears in human form and, endowing Bruce with divine powers op collaboration, challenges Bruce to take on the big job to see if he can do it any better. A movie that makes you modest and you realize there is more than your small ecosystem. Blondie (The Good PLM consultant) is a professional who is out trying to earn a few dollars. Angel Eyes (The Bad PLM Vendor) is a PLM salesman who always commits to a task and sees it through, as long as he is paid to do so. And Tuco (The Ugly PLM Implementer) is a wanted outlaw trying to take care of his own hide. Tuco and Blondie share a partnership together making money off Tuco’s bounty, but when Blondie unties the partnership, Tuco tries to hunt down Blondie. When Blondie and Tuco come across a PLM implementation loaded with dead bodies, they soon learn from the only survivor (Bill Carson – the PLM admin) that he and a few other men have buried a stash of value on a file server. Unfortunately, Carson dies, and Tuco only finds out the name of the file server, while Blondie finds out the name on the hard disk. Now the two must keep each other alive in order to find the value. Angel Eyes (who had been looking for Bill Carson) discovers that Tuco and Blondie met with Carson and knows they know the location of the value. All he needs is for the two to ..
A movie that makes you realize that it is a challenging journey to find the value out of PLM. It is not only about execution – but it is also about all the politics of people involved – and there are good, bad and ugly people on a PLM journey. The Grump is a draftsman in Finland from the past. A man who knows that everything used to be so much better in the old days. Pretty much everything that’s been done after 1953 has always managed to ruin The Grump’s day. Our story unfolds The Grump opens a 3D Model on his computer, hurting his brain. He has to spend a weekend in Helsinki to attend a model-based therapy. Then the drama unfolds ……. A movie that makes you realize that progress and innovation do not come from grumps. In every environment when you want to do a change of the status quo, grumps will appear. With the exciting Finish atmosphere, a perfect film for Christmas. The Cahulawassee River Valley company in Northern Georgia is one of the last analog companies in the state, which will soon change with the imminent implementation of a PLM system in the company, breaking down silos everywhere. As such, four Atlanta city slickers, alpha male Lewis Medlock, generally even-keeled Ed Gentry, slightly condescending Bobby Trippe, and wide-eyed Drew Ballinger decide to implement PLM in one trip, with only Lewis and Ed having experience in CAD. They know going in that the area is ethnoculturally homogeneous and isolated, but don’t understand the full extent of such until they arrive and see what they believe is the result of generations of inbreeding. Their relatively peaceful trip takes a turn for the worse when half way through they encounter a couple of hillbilly moonshiners. That encounter not only makes the four battle their way out of the PLM project intact and alive but threatens the relationships of the four as they do. This movie, from 1972, makes you realize that in the early days of PLM starting a big-bang implementation journey into an area that is not ready for it, can be deadly, for your career and friendship. Not suitable for small children! James Bond’s mission is to find out who has been drawing diamonds, which are appearing on blogs. He adopts another identity in the form of Don Farr. He joins up with CIMdata and acts as if he is developing diamonds, but everyone is hungry for these diamonds. He also has to avoid Mr. Brouwer and Mr. Kidd, the dangerous couple who do not leave anyone in their way when it comes to model-based. And Ernst Stavro Blofeld isn’t out of the question. He may have changed his looks, but is he linked with the V-shape? And if he is, can Bond finally defeat his ultimate enemy? I could not decide about number five. The future is bright with Boeing’s new representation of Systems Engineering, see my post on CIMdata’s PLM Europe roadmap event where Don Farr presented his diamond(s). However, the future is also becoming a mix of real with virtual and here Tron (legacy) will help my readers to understand the beauty of a mixed virtual and real world. You can decide – or send me your favorite PLM movies. Note: All movie reviews are based on IMBd.com story lines, and I thank the authors of these story lines for their contribution and hope they agree with the PLM-related twist. Click on the image to find the full details and original review. A month ago I announced to write a series of posts related to the various facets of Model-Based. As I do not want to write a book for a limited audience, I still believe blog posts are an excellent way to share knowledge and experience to a wider audience. Remember PLM is about sharing! Model-Based ways of working are a hot topic and crucial for a modern digital enterprise. The modern digital enterprise does not exist yet to my knowledge, but the vision is there. Strategic consultancy firms are all active exploring and explaining the potential benefits – I have mentioned McKinsey / Accenture / Capgemini before. My first post: Model-Based – an introduction described my intentions what I wanted to explain. I got some interesting feedback and insights from my readers . Some of the people who responded understood that the crucial characteristic of the model-based enterprise is to use models to master a complex environment. Business Models, Mathematical Models, System Models are all part of a model-based enterprise, and none of them have a necessary relation to the 3D CAD model. Because this is an approach to master complex environments ! If you are studying the concepts for a digital enterprise model, it is complex. Artificial intelligence, predictive actions all need a model to deliver. The interaction and response related to my first blog post did not show any problems – only a positive mindset to further explore. For example, if you read this blog post from Contact, you will see the message came across very well: Model-Based in Model-Based Systems Engineering – what’s up ? My second post: Why Model-Based? The 3D CAD Model was related to model-based, focusing on the various aspects related to the 3D CAD model, without going into all the details. In particular, in the PLM world, there is a lot of discussion around Model-Based Design or Model-Based Definition, where new concepts are discussed to connect engineering and manufacturing in an efficient and modern data-driven way. Lifecycle Insights, Action Engineering, Engineering.com, PTC, Tech-Clarity and many more companies are publishing information related to the model-based engineering phase. Here is was surprised by Oleg’s blog with his post Model-Based Confusion in 3D CAD and PLM. Here is the thing… I don’t see much difference between saying PLM-CAD integration sharing data and information for downstream processes and “model-driven” data sharing. It might be a terminology thing, but data is managed by CAD-PLM tools today and accessed by people and other services. This is how things are working today. If model-driven is an approach to replace 2D drawings, I can see it. However, 2D replacement is something that I’ve heard 20 years ago. However, 2D drawings are still massively used by manufacturing companies despite some promises made by CAD vendors long time ago. Oleg’s post unleashed several reactions of people who shared his opinion (read the comments here). They are all confused, t is all about marketing / let’s not change / too complex. Responses you usually hear from a generation that does not feel and understand the new approaches of a digital enterprise. If you are in the field working with multiple customers trying to understand the benefits of model-based definition, you would not worry about terminology – you would try to understand it and make it work. In his post, Oleg refers to CIMdata’ s explanation of the various aspects of model-based in the context of PLM. Instead of referring to the meaning of the various acronyms, Peter Bilello (CIMdata) presented at the latest PDT conference (Oct 2017 – Gothenburg) an excellent story related to the various aspects of the model-based aspects, actually the whole conference was dedicated to the various aspects of a Model-Based Enterprise illustrates that it is not a vendor marketing issue. You can read my comments from the vendor-neutral conference here: The weekend after PDT Europe 2017 Part 1 and Part 2. 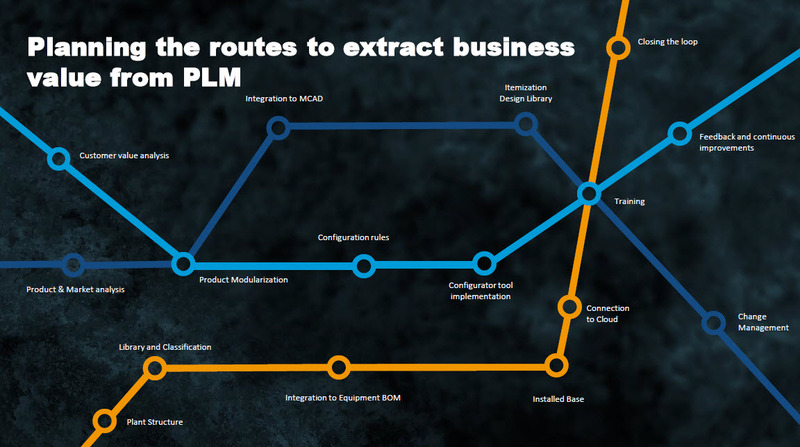 When PLM – Product Lifecycle Management – was introduced, one of the main drivers was to provide an infrastructure for collaboration and for sharing product information across the whole lifecycle. The top picture shows my impression of what PLM could mean for an organization at that time. The PLM circle was showing a sequential process from concept, through planning, development, manufacturing towards after sales and/or services when relevant. PLM would provide centralization and continuity of data. Through this continuity we could break down the information silos in a company. Why do we want to break down the silos? 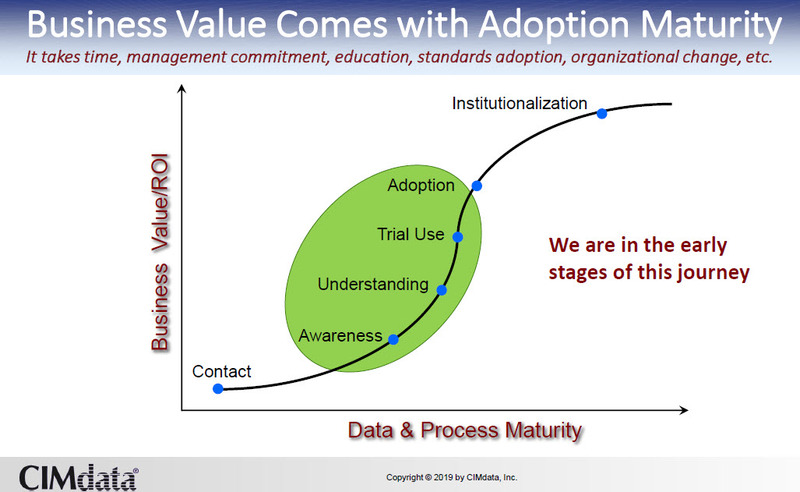 Keep process and organizational silos, but break data silos. This is should be a new mantra by new PLM organization in 21st century. How to help designers, manufacturing planners and support engineers to stay on the same BOM? By resolving this problem, organization will preserve current functional structure, but will make their decisions extremely data drive and efficient. The new role of PLM is to keep organizational and process silos, but connect data silos. This is a place where new cloud based multi-tenant technologies will play key role in the future organization transformation from the vision of no silo extended enterprise to organized functional silos connected by common understanding of data. For me “Keep process and organizational silos ….. “ is exactly the current state of classical PLM, where PLM concepts are implemented to provide data continuity within a siloed organization. When you can stay close to the existing processes the implementation becomes easier. Less business change needed and mainly a focus on efficiency gains by creating access to information. Most companies do not want to build their data continuity themselves and therefore select and implement a PLM system that provides the data continuity, currently mainly around the various BOM-views. By selecting a PLM system, you have a lot of data integration done for you by the vendor. Perhaps not as user-friendly as every user would expect, however no company has been able to build a 100% user-friendly PLM system yet, which is the big challenge for all enterprise systems. Therefore PLM vendors provide a lot of data continuity for you without the need for your company to take responsibility for this. And if you know SAP, they go even further. Their mantra is that when using SAP PLM, you even do not need to integrate with ERP. You can still have long discussions with companies when it comes to PLM and ERP integrations. The main complexity is not the technical interface but the agreement who is responsible for which data sets during the product lifecycle. This should be clarified even before you start talking about a technical implementation. SAP claims that this effort is not needed in their environment, however they just shift the problem more towards the CAD-side. Engineers do not feel comfortable with SAP PLM when engineering is driving the success of the company. It is like the Swiss knife; every tool is there but do you want to use it for your daily work? In theory a company does not need to buy a PLM system. You could build your own PLM-system, based on existing infrastructure capabilities. CAD integrations might be trickier, however this you could solve by connecting to their native environments. For example, Microsoft presented at several PDT conferences an end-to-end PLM story based on Microsoft technology. Microsoft “talks PLM” during these conferences, but does not deliver a PLM-system – they deliver the technologies. What is really needed for the 21st century is to break down the organizational silos as current ways of working are becoming less and less applicable to a modern enterprise. The usage of software has the major impact on how we can work in the future. Software does not follow the linear product process. Software comes with incremental deliveries all the time and yes the software requires still hardware to perform. Modern enterprises try to become agile, being able to react quickly to trends and innovation options to bring higher and different value to their customers. Related to product innovation this means that the linear, sequential go-to-market process is too slow, requires too much data manipulation by non-value added activities. All leading companies in the industry are learning to work in a more agile mode with multidisciplinary teams that work like startups. Find an incremental benefit, rapidly develop test and interact with the market and deliver it. These teams require real-time data coming from all stakeholders, therefore the need for data continuity. But also the need for data quality as there is no time to validate data all the time – too expensive – too slow. Probably these teams will not collaborate along the various BOM-views, but more along digital models, both describing product specifications and system behavior. The BOM is not the best interface to share system information. The model-based enterprise with its various representations is more likely to be the backbone for the new future in the 21st century. I wrote about this several times, e.g. item-centric or model-centric. This is a place where new cloud-based multi-tenant technologies will play key role in the future organization transformation from the vision of no silo extended enterprise to organized functional silos connected by common understanding of data. From the academic point of view, I see the beauty of new cloud-based multi-tenant technologies. Quickly build an environment that provides information for specific roles within the organization – however will this view be complete enough? What about data dictionaries or is every integration a customization? When talking with companies in the real world, they are not driven by technology – they are driven by processes. They do not like to break down the silos as it creates discomfort and the need for business transformation. And there is no clear answer at this moment. What is clear that leading companies invest in business change first before looking into the technology. Sometimes too much academic and wishful thinking from technology providers is creating excitement. Technology is not the biggest game changer for the 21st century. It will be the new ways of working and business models related to a digital enterprise that require breaking organizational silos. And these new processes will create the demand for new technologies, not the other way around. Break down the walls ! In my earlier post; PLM 2018 my focus, your input, I invited you to send PLM related questions that would spark of a dialogue. As by coincidence Oleg Shilovitsky wrote a post with the catchy title: Why traditional PLM ranking is dead. PLM ranking 2.0. Read this post and the comments if you want to follow this dialogue. Oleg reacts in this post on the discussion that had started around the Forester Wave ranking PLM Vendors, which on its own is a challenging topic. I know from my experience that these rankings depend very much on a mix of functions and features, but also are profoundly influenced by the slideware and marketing power of these PLM Vendors. Oleg also quotes Joe Barkai’s post: ranking PLM Vendors to illustrate that this kind of ranking does not bring a lot of value as there is so much commonality between these systems. I agree with Oleg and Joe. PLM ranking does not make sense for companies to select a PLM solution. They are more an internal PLM show, useful for the organizing consultancy companies to conduct, but at the end, it is a discussion about who has the biggest and most effective button. Companies need to sell themselves and differentiate. 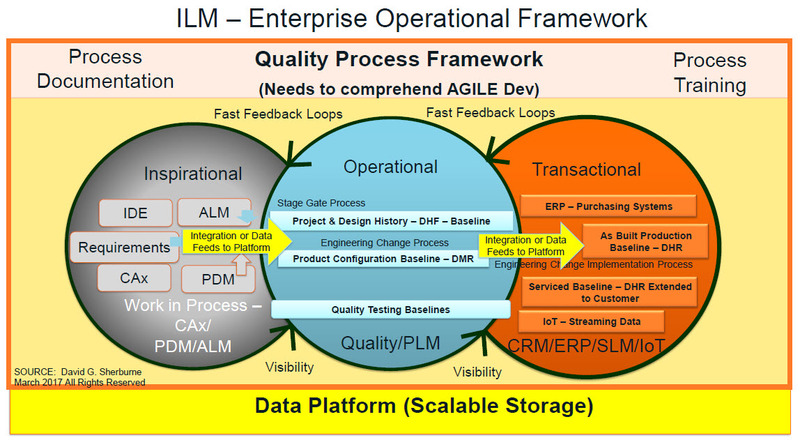 We started a dialogue on the comments of Oleg’s blog post where I mentioned that PLM is not about selecting a solution from a vendor, there are many other facets related to a PLM implementation. First of all, the industry your company is active in. No solution fits all industries. But before selecting a solution, you first need to understand what does a company want to achieve in the future. What is the business strategy and how can PLM support this business strategy? In most ca ses, a strategy is future-oriented and not about consolidating the current status quo. Therefore I believe a PLM implementation is always done in the context of a business transformation, which is most of the time not only related to PLM – it is about People, Processes and then the tools. Enterprise and engineering IT are hiring consulting to cover their decision process. That was a great point made by Joe Barkai- companies are buying roadmaps and long-term commitments, but rarely technologies. Technologies can be developed, and if even something is missed, you can always acquire independent vendors or technology later – it was done many times by many large ISVs in the past. Here I agree with a part of the comments. If you hire consultancy firms just for the decision process, it does not make sense/ The decision process needs to be owned by the company. Do not let a consultancy company prescribe your (PLM) strategy as there might be mixed interests. However, when it comes to technologies, they are derived from the people and process needs. We will not change the current status quo and ranking processes very soon. Technology is an enabler, but you need a top-down push to work different (at least for those organizations that read vendor rankings). However, the favorite part of your comments is this – “We will not change the current status quo and ranking processes very soon.” Who are “we”???? Management consulting people? With “we” I do not mean the consulting people. In general, the management of companies is more conservative than consultants are. It is our human brain that is change averse and pushes people to stay in a kind of mainstream mode. In that context, the McKinsey article: How biases, politics, and egos derail business decisions is a fascinating read about company dynamics. Also, CIMdata published in the past a slide illustrating the gap between vision, real capabilities and where companies really are aiming at. There is such a big gap between where companies are and what it possible. Software vendors describe the ideal world but do not have a migration path. One of the uncomfortable discussions is when discussing a cloud solution is not necessary security (topic #1) but what is your exit strategy? Have you ever thought about your data in a cloud solution and the vendor raises prices or does no longer have a viable business model. These are discussions that need to take place too. In a digital world, companies are checking websites, technologies, watching YouTube and tried products available online. Recent cloud PLM research published by CIMdata tells that when companies are thinking about cloud PLM, the first check they do is independent software providers recommendations and websites (not business process consultants). I am wondering the value of this graph. The first choice is independent software recommendations/websites. Have you ever seen independent software recommendations? These are the kind of reviews you find on the internet for consumers. Don’t try to find answers on a vendor website as there you will get no details, only the marketing messages. I understand that software vendors, including Oleg’s company OpenBOM, needs to differentiate by explaining that the others are too complex. It is the same message you hear from all the relative PLM newcomers, Aras, Autodesk, ……. All these newcomers provide marketing stories and claim successes because of their tools, where reality is the tool is secondary to the success. First, you need the company to have a vision and a culture that matches this tool. Look at an old Gartner picture (the hockey stick projection) when all is aligned. The impact of the tool is minimal. Although this post seems like ping-pong match of arguments, I challenge you to take part of this discussion. Tell us where you agree or disagree combined with argumentation as we should realize the argumentation is the most valuable point. PLM 2018 – my focus, your input? 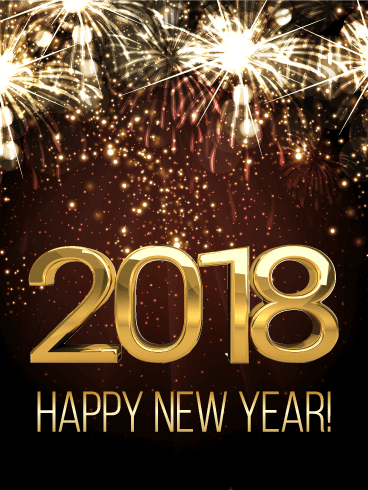 Happy New Year to all of you. A new year comes traditionally with good intentions for the upcoming year. I would like to share my PLM intentions for this year with you and look forward to your opinion. I shared some of my 2017 thoughts in my earlier post: Time for a Break. This year will I focus on the future of PLM in a digital enterprise, current PLM practices and how to be ready for the future. Related to these activities I will zoom in on people-related topics, like organizational change, business impact and PLM justification in an enterprise. When it happens during the year, or based on your demands, I will zoom in on architectural stuff and best practices. 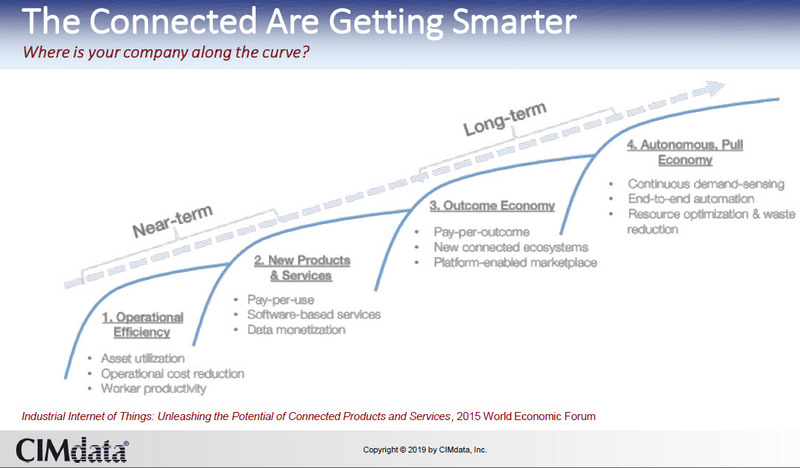 At this moment digital transformation is on the top of the hype curve and the impact varies of course per industry. For sure at the company’s C-level managers will be convinced they have the right vision and the company is on the path to success. Statements like: “We will be the first digital industrial enterprise” or “We are now a software company” impress the outside world and often investors in the beginning. Combined with investments in customer related software platforms a new digital world is relative fast created facing the outside world. And small pilots are celebrated as significant successes. What we do not see is that to show and reap the benefits of digital transformation companies need to do more than create a modern, outside facing infrastructure. We need to be able to connect and improve the internal data flow in an efficient way to stay competitive. Buzzwords like digital thread and digital twin are relevant here. To my understanding we are still in the early phases of discovering the ideal architecture and practices for a digital enterprise. PLM Vendors and technology companies show us the impressive potential as-if the future already exists already now. Have a reality check from Marc Halpern (Gartner) in this article on engineering.com – Digital Twins: Beware of Naive Faith in Simplicity. I will focus this year on future PLM combined with reality, hopefully with your support for real cases. Although my curiosity is focused on future PLM, there is still a journey to go for companies that have just started with PLM. Before even thinking of a digital enterprise, there is first a need to understand and implement PLM as an infrastructure outside the engineering department. Many existing PLM implementations are actually more (complex) document management systems supporting engineering data, instead of using all available capabilities of a modern PLM systems. Topics like Systems Engineering, multidisciplinary collaboration, Model-Based Enterprise, EBOM-MBOM handling, non-intelligent numbering are all relevant for current and future PLM. Not exploring and understanding them in your current business will make the gap towards the future even bigger. Therefore, keep on sending your questions and when time allows I will elaborate. For example, see last year’s PLM dialogue – you find these posts here: PLM dialogue and PLM dialogue (continued). Of course I will share my observations in this domain too when I bump into them. The most prominent challenge for most companies however is how to transform their existing business towards a modern digital business where new processes and business opportunities need to be implemented inside an existing enterprise. These new processes and business opportunities are not just simple extensions of the current activities, they need new ways of working like delivering incremental results through agile and multidisciplinary teams. And these ways of working combined with never-existing-before interactivity with the market and the customer. How to convince management that these changes are needed and do not happen without their firm support? It is easier to do nothing and push for small incremental changes. But will this be fast enough? Probably not as you can read from research done by strategic consultancy firms. There is a lot of valuable information available if you invest time in research. But spending time is a challenge for management. A blog is a modern way of communicating with anyone connected in the world. What I would like to achieve this year is to be more interactive. Share your questions – there are no stupid questions as we are all learning. By sharing and learning we should be able to make achievable steps and become PLM winners. Best wishes to us all and be a winner not a tweeter ….. This post is a rewrite of an article I wrote on LinkedIn two years ago and modified it to my current understanding. When you are following my blog, in particular, the posts related to the business change needed to transform a company towards a data-driven digital enterprise, one of the characteristics of digital is about the real-time availability of information. This has an impact on everyone working in such an organization. My conversations are in the context of PLM (Product Lifecycle Management) however I assume my observations are valid for other domains too. Real-time visibility is going to be the big differentiator for future businesses, and in particular, in the PLM domain, this requires a change from document-centric processes towards data-driven processes. Documents have a lot of disadvantages. Documents lock information in a particular format and document handling results in sequential processes, where one person/one discipline at the time is modifying or adding content. I described the potential change in my blog post: From a linear world to fast and circular? In that post, I described that a more agile and iterative approach to bring products and new enhancements to the market should have an impact on current organizations. A linear organization, where products are pushed to the market, from concept to delivery, is based on working in silos and will be too slow to compete against future, modern digital enterprises. This because departmental structures with their own hierarchy block fast moving of information, and often these silos perform filtering/deformation of the information. It becomes hard to have a single version of the truth as every department, and its management will push for their measured truth. A matching business model related to the digital enterprise is a matrix business model, where multi-disciplinary teams work together to achieve their mission. An approach that is known in the software industry, where parallel and iterative work is crucial to continuous deliver incremental benefits. In a few of my projects, I discovered this correlation with software methodology that I wanted to share. One of my clients was in the middle of moving from a document-centric approach toward a digital information backbone, connecting the RFQ phase and conceptual BOM through design, manufacturing definition, and production. The target was to have end-to-end data continuity as much as possible, meanwhile connecting the quality and project tasks combined with issues to this backbone. And here we started the discussion. “Why do you want to escalate to a manager?” Escalation will only give more disruption and stress for the persons involved. Isn´t the person qualified enough to make a decision what is important? One of the conclusions of the discussion was that currently, due to lack of visibility of what needs to be done and when and with which urgency, people accept things get overlooked. So the burning issues get most of the attention and the manager’s role is to make things burning to get it done. When discussing further, it was clear that thanks to the visibility of data, real critical issues will appear at the top of an individual’s dashboard. The relevant person can immediately overlook what can be achieved and if not, take action. Of course, there is the opportunity to work on the easy tasks only and to ignore the tough ones (human behavior) however the dashboard reveals everything that needs to be done – visibility. Therefore if a person learns to manage their priorities, there is no need for a manager to push anymore, saving time and stress. The ultimate conclusion of our discussion was: Implementing a modern PLM environment brings first of all almost 100 % visibility, the single version of the truth. This new capability breaks down silos, a department cannot hide activities behind their departmental wall anymore. Digital PLM allows horizontal multidisciplinary collaboration without the need going through the management hierarchy. What do you think – will this happen? This was my question in 2015. Now two years later I can say some companies have seen the potential of the future and are changing their culture to empower their employees working in multidisciplinary teams. Other companies, most of the time with a long history in business, are keeping their organizational structure with levels of middle management and maintain a culture that consolidates the past. A digital enterprise empowers individuals allowing companies to become more proactive and agile instead of working within optimized silos. In silos, it appears that middle management does not trust individuals to prioritize their work. The culture of a company and its ability to change are crucial for the empowerment of individuals The last two years there is progress in understanding the value of empowered multidisciplinary teams. Is your company already empowering people ? Let us know ! Note: After speaking with Simon, one of my readers who always gives feedback from reality, we agreed that multidisciplinary teams are very helpful for organizations. However you will still need a layer of strategic people securing standard ways of working and future ways of working as the project teams might be to busy doing their job. We agreed this is the role for modern middle management. Last week I posted my first review of the PDT Europe conference. You can read the details here: The weekend after PDT Europe (part 1). There were some questions related to the abbreviation PDT. Understanding the history of PDT, you will discover it stands for Product Data Technology. Yes, there are many TLA’s in this world. Now back to the conference. Day 2 started with a remote session from Simon Floyd. Simon is Microsoft’s Managing Director for Manufacturing Industry Architecture Enterprise Services and a frequent speaker at PDT. Simon shared with us Microsoft’s viewpoint of a Digital Twin, the strategy to implement a Digit Twin, the maturity status of several of their reference customers and areas these companies are focusing. From these customers it was clear most companies focused on retrieving data in relation to maintenance, providing analytics and historical data. Futuristic scenarios like using the digital twin for augmented reality or design validation. As I discussed in the earlier post, this relates to my observations, where creating a digital thread between products in operations is considered as a quick win. Establishing an end-to-end relationship between products in operation and their design requires many steps to fix. Read my post: Why PLM is the forgotten domain in digital transformation. When discussing the digital twin architecture, Simon made a particular point for standards required to connect the results of products in the field. Connecting a digital twin in a vendor-specific framework will create a legacy, vendor lock-in, and less open environment to use digital twins. A point that I also raised in my presentation later that day. Simon concluded with a great example of potential future Artificial Intelligence, where an asset based on its measurements predicts to have a failure before the scheduled maintenance stop and therefore requests to run with a lower performance so it can reach the maintenance stop without disruption. Sustainability and the circular economy has been a theme at PDT for some years now too. In his keynote speech, Torbjörn Holm from Eurostep took us through the global megatrends (Hay group 2030) and the technology trends (Gartner 2018) and mapped out that technology would be a good enabler to discuss several of the global trends. Next Torbjörn took us through the reasons and possibilities (methodologies and tools) for product lifecycle circularity developed through the ResCoM project in which Eurostep participated. Torbjörn concluded discussing the necessary framework for Digital Twin and Digital Thread(s), which should be based on a Model-Based Definition, where ISO 10303 is the best candidate. Rebecca Ihrfors, CIO from the Swedish Defense Material Administration (FMV) shared her plans on transforming the IT landscape to harmonize the current existing environments and to become a broker between industry and the armed forces (FM). As now many of the assets come with their own data sets and PDM/PLM environments, the overhead to keep up all these proprietary environments is too expensive and fragmented. FWM wants to harmonize the data they retrieve from industry and the way they offer it to the armed forces in a secure way. There is a need for standards and interoperability. The positive point from this presentation was that several companies in the audience and delivering products to Swedish Defense could start to share and adapt their viewpoints how they could contribute. 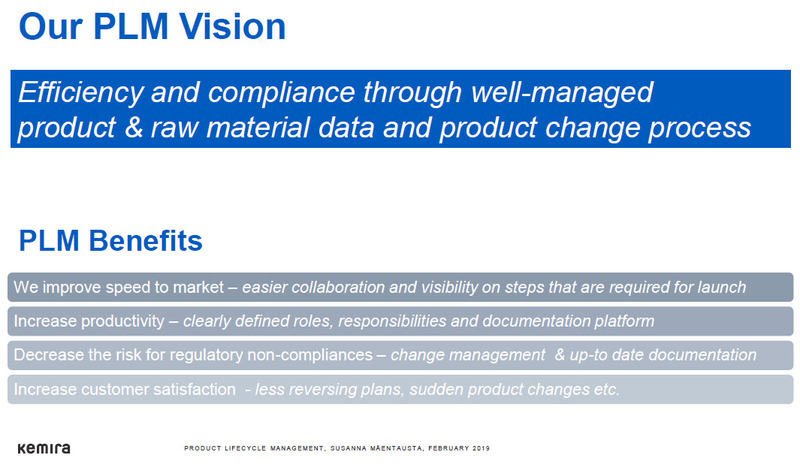 In my presentation, which you can download from SlideShare here: PLM – something has to change. My main points were related to the fact that apparently, companies seem to understand that something needs to happen to benefit really from a digital enterprise. The rigidness from large enterprise and their inhibitors to transform are more related to human and incompatibility issues with the future. How to deal with this incompatibility was also the theme for Martin Eigner’s presentation (System Lifecycle Management as a bimodal IT approach) and Marc Halpern’s closing presentation (Navigating the Journey to Next Generation PLM). Martin Eigner’s consistent story was about creating an extra layer on top of the existing (Mode 1) systems and infrastructure, which he illustrated by a concept developed based on Aras. By providing a new digital layer on top of the existing enterprise, companies can start evolving to a modern environment, where, in the long-term, old Mode 1 systems will be replaced by new digital platforms (Mode 2). Oleg Shilovitsky wrote an excellent summary of this approach. Read it here: Aras PLM platform “overlay” strategy explained. Marc Halpern closed the conference describing his view on how companies could navigate to the Next Generation PLM by explaining in more detail what the Gartner bimodal approach implies. Marc’s story was woven around four principles. Principle 1 The bimodal strategy as the image shows. Principle 2 was about Mode 1 thinking in an evolutionary model. Every company has to go through maturity states in their organization, starting from ad-hoc, departmental, enterprise-based to harmonizing and fully digital integrated. These maturity steps also have to be taken into account when planning future steps. Principle 3 was about organizational change management, a topic often neglected or underestimated by product vendors or service providers as it relates to a company culture, not easy to change and navigate in a particular direction. Finally, Principle 4 was about Mode 2 activities. Here an organization should pilot (in a separate environment), certify (make sure it is a realistic future), adopt (integrate it in your business) and scale (enable this new approach to exists and grow for the future). This post concludes my overview of PDT Europe 2017. Looking back there was a quiet aligned view of where we are all heading with PLM and related topics. There is the hype an there is reality, and I believe this conference was about reality, giving good feedback to all the attendees what is really happening and understood in the field. And of course, there is the human factor, which is hard to influence. Share your experiences and best practices related to moving to the next generation of PLM (digital PLM ?) ! As I am preparing my presentation for the upcoming PDT Europe 2017 conference in Gothenburg, I was reading relevant experiences to a data-driven approach. During PDT Europe conference we will share and discuss the continuous transformation of PLM to support the Lifecycle Model-Based Enterprise. One of the direct benefits is that a model-based enterprise allows information to be shared without the need to have documents to be converted to a particular format, therefore saving costs for resources and bringing unprecedented speed for information availability, like what we are used having in a modern digital society. For me, a modern digital enterprise relies on data coming from different platforms/systems and the data needs to be managed in such a manner that it can serve as a foundation for any type of app based on federated data. This statement implies some constraints. It means that data coming from various platforms or systems must be accessible through APIs / Microservices or interfaces in an almost real-time manner. See my post Microservices, APIs, Platforms and PLM Services. Also, the data needs to be reliable and understandable for machine interpretation. Understandable data can lead to insights and predictive analysis. Reliable and understandable data allows algorithms to execute on the data. Classical ECO/ECR processes can become highly automated when the data is reliable, and the company’s strategy is captured in rules. In a data-driven environment, there will be much more granular data that requires some kind of approval status. We cannot do this manually anymore as it would kill the company, too expensive and too slow. Therefore, the need for algorithms. I tried to avoid as long as possible academic language, but now we have to be more precise as we enter the domain of master data management. I was triggered by this recent post from Gartner: Gartner Reveals the 2017 Hype Cycle for Data Management. There are many topics in the hype cycle, and it was interesting to see Master Data Management is starting to be taken seriously after going through inflated expectations and disillusionment. This was interesting as two years ago we had a one-day workshop preceding PDT Europe 2015, focusing on Master Data Management in the context of PLM. 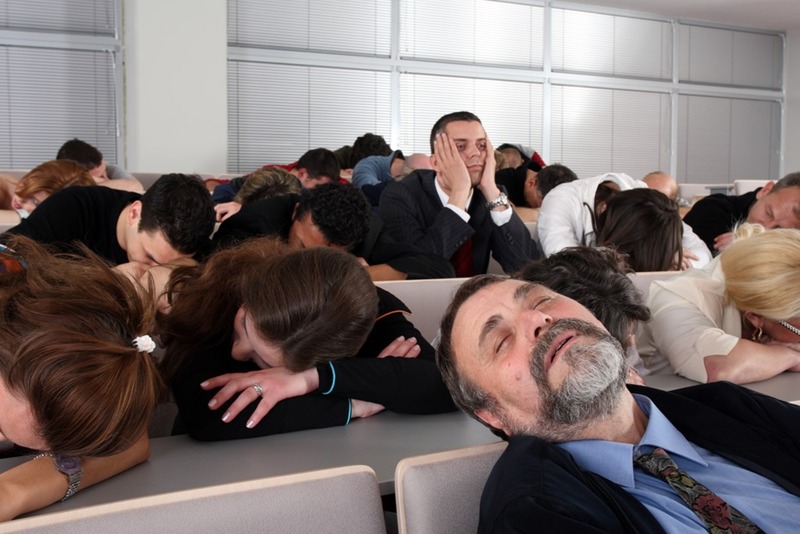 The attendees at that workshop coming from various companies agreed that there was no real MDM for the engineering/manufacturing side of the business. MDM was more or less hijacked by SAP and other ERP-driven organizations. Looking back, it is clear to me why in the PLM space MDM was not a real topic at that time. We were still too much focusing and are again too much focusing on information stored in files and documents. The only area touched by MDM was the BOM, and Part definitions as these objects also touch the ERP- and After Sales- domain. Here we see two MDM architectures, the one of the left driven from ERP. The one on the right could be based on the ISO-15926 standard as the process industry has worked for over 25 years to define a global exchange standard and data dictionary. The process industry was able to reach such a maturity level due to the need to support assets for many years across the lifecycle and the relatively stable environment. Other sectors are less standardized or so much depending on new concepts that it would be hard to have an industry-specific master. PLM as an Application Specific Master? If you would currently start with an MDM initiative in your company and look for providers of MDM solution, you will discover that their values are based on technology capabilities, bringing data together from different enterprise systems in a way the customer thinks it should be organized. More a toolkit approach instead of an industry approach. And in cases, there is an industry approach it is sporadic that this approach is related to manufacturing companies. Remember my observation from 2015: manufacturing companies do not have MDM activities related to engineering/manufacturing because it is too complicated, too diverse, too many documents instead of data. For companies with a model-based approach that has no MDM in place, the implementation of their Product Innovation Platform (modern PLM) should be based on the industry-specific data definition for this industry. Tom Gill explains in his post the business benefits and values of using the PLM as the source for an MDM approach. In particular, in modern PLM environments, the PLM data model is not only based on the BOM. PLM now encompasses the full lifecycle of a product instead of initially more an engineering view. Modern PLM systems, or as CIMdata calls them Product Innovation Platforms, manage a complex data model, based on a model-driven approach. These entities are used across the whole lifecycle and therefore could be the best start for an industry-specific MDM approach. Now only the industries have to follow…. Do you follow my thoughts / agree ?